FIRST Scholarships are offered exclusively to students that have participated on a FIRST team in high school. 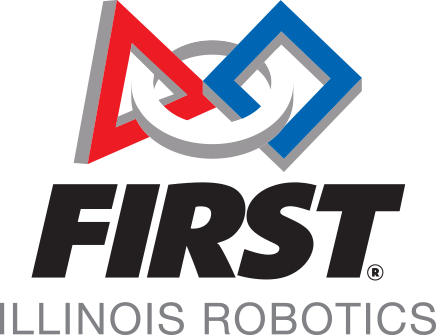 Students participating in either FIRST Robotics Competition (FRC) OR FIRST Tech Challenge (FTC) are eligible. Many colleges, universities, professional associations, and corporations acknowledge that the FIRST experience is often the spark that lights the flame of life-long learning and that participating students are more likely to acquire a passion for learning and a drive to succeed. Scholarship providers have come to value the advantages that FIRST provides to students in the areas of advanced knowledge and understanding, technical skills, and self-confidence, coupled with life and work-related skill development, and offer college scholarships exclusively to these students. Currently, there are approximately 200 schools and organizations across the country offering over 1200 undergraduate scholarship opportunities, totaling over $22 million in scholarship funding available for current or former FIRST participants. The individual scholarships range in value from one-time awards starting at $500 to renewable awards for up to four years of full-tuition. Scholarships are available to pay for school in a broad range of academic fields, with 60% for STEM majors and 40% for any chosen major. Use the link below to find out how you can finance your college education using free FIRST scholarships. Click here to see a list of scholarships available to FIRST participants. “My involvement in FIRST during high school fueled my passion for robotics and was instrumental in helping me gain admission into the university engineering program of my choice. It not only helped develop the problem solving, teamwork, and leadership skills required to design, build, and operate a competition robot, but also differentiated my accomplishments from those of thousands of other university applicants. This experience helped me gain entrance into one of the most competitive programs at a top engineering school. It’s an honor to be awarded a FIRST scholarship, and the award really helps shoulder the high cost of an engineering education.” -- Aidan S.
"I really appreciated that this scholarship was open to students intending to major in areas outside of engineering. While FIRSTis an amazing program for the engineers of the future, I think it is also a great program for future leaders in any field. Being on a FIRST team not only qualified me for the scholarships offered specifically for FIRST students, but also helped me to earn several scholarships from other sources, without which I would not be attending the college of my dreams. Thank you, FIRST!" -- Julie G.
"FIRST provided excellent mentors, lifelong friends, and a fun, exciting, inspirational environment that instilled in me a passion for robotics. For me, the lasting effect of FIRST was the mindset of solving real-world problems with robotic solutions and having the confidence to take on challenges through ambition and teamwork. Receiving a FIRST scholarship helped me to continue my education in robotics at the graduate level, where I hope to further my expertise while pursuing a career in robotics for planetary exploration." -- Tom C.
"In past years we have found that students with FIRST experience while in high school have performed better academically and are much more likely to continue as engineering majors than students who lacked that experience. We consider our FIRST Scholarship program as a great way to identify academically superior students who are most likely to graduate with engineering degrees. Those are exactly the type of students that our donors want to support with engineering-funded scholarships. Once again, thank you for allowing us the opportunity to participate in this excellent program."